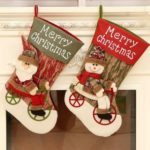 With this lovely Christmas stock and filling it with gifts, you will give your kids a cheerful and gorgeous Christmas. 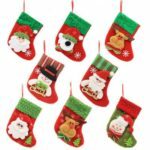 This Christmas stockings set including 1 large but cute stockings. 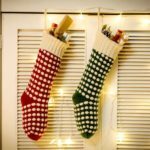 The stockings decorated with polka dot look lovely. Good decoration to hang on the Christmas tree and wall. 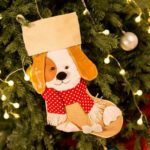 A strap to hang it on Christmas tree or fireplace. Large capacity, ready to be packed with a lot of goodies or gifts.